(Makes 5 gallons) Mike makes great beer - just ask anyone in the shop. 2007 Samuel Adams Longshot winner for his Double IPA. In fact, we all look forward to Fridays when Mike usually comes bearing gifts in the form of big Browns and hoppy IPA's. 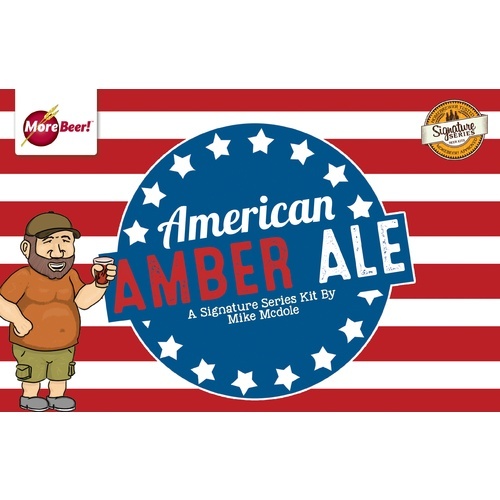 So when his American Brown took Second Place out of 96 other Brown Ales at the 2003 Big Batch Brew Bash held by the KGB homebrew club in Houston Texas, we were not too surprised. We have been after him for awhile now for this recipe and he finally gave his consent, allowing this to be the 11th Signature Series kit. Mike started brewing about 7 years ago and has not stopped since. This beer has won 4 first Place Ribbons and 3 Second Place ones, and it definitely shows. 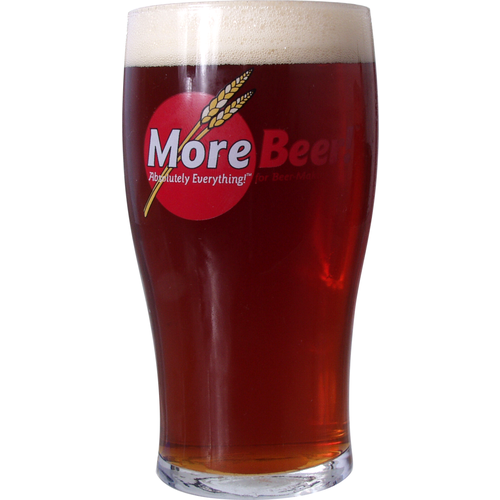 With about 9.25 pounds of malt and 4 hop additions, this is a full-bodied, hop-forward beer. Not for the weak of heart! Mike uses White Labs California Ale Yeast, WLP001. Recently, this beer won the Gold Medal at the National Homebrew Competition in Las Vegas! Mike was on hand to accept and, as usual, he had a full keg of his beer there to share. When it comes time to drink this beer, raise one for Mike. Janet's Brown is one of my favorite beers, Mike makes good stuff. I like an amber as the weather begins to cool, and this Ale is very nice. After taking a poll at work, the consensus was a to brew a Sam Adams-like beer. 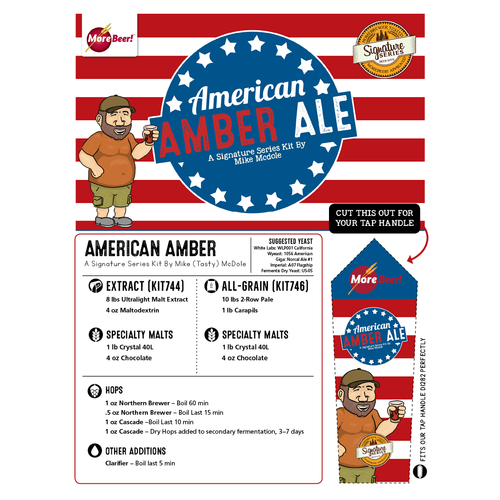 I'm not much of a fan of straight Amber ales, so this recipe caught my eye as it had a dry-hop addition. After letting it dry-hop for 9-days, it turned pleased the crowd, and satisfied my desire for a slightly more hop-tasting beer. Will definitely brew again! I've made this twice now. A great summer beer, very nice floral/citrus notes. Will definitely brew again!